PCN Flight West: DL Capt. James Chester Tillman Jr.
DL Capt. James Chester Tillman Jr. Please see obituary and information below. CARES AND CONCERNSThank you to Mrs. Gayel C. Tillman, widow of the late retired Delta Captain James Chester Tillman, Jr., 76, who passed away November 29, 2017. He was hired by Delta 6/2/1969 and retired 1/1/1998. 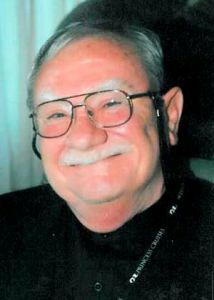 To view or sign the Online Guest Book, click on http://www.mowellfuneralhome.com/obituaries/James-Jim-Tillman-Jr?obId=2749793#/celebrationWall . Expressions of condolence may be sent to Mrs. Tillman and family at 1303 Redwine Road, Fayetteville, GA 30215. Services information is in the obituary below. My husband, James C. Tillman, Jr. (Delta ID # 280034), passed away on 11/29/17. I know he was a member of the retired pilots group you represent. I just wanted you to be notified so that you could update your records. If there is anything else we should do in regards to your organization, please me at your convenience. James C. (Jim) Tillman, Jr., age 76, of Fayetteville passed away on Wednesday, November 29, 2017. Jim was born on April 17, 1941, in LaGrange, Ga., to the late James C. Tillman, Sr. and Floy Gore Tillman. He was a high school graduate of Georgia Military College, a college graduate of Georgia Tech, and he earned a Masters Degree from the University of Southern California. After serving five years in the Air Force as a B-52 pilot, he became a pilot for Delta Air Lines and retired as a captain after more than 28 years. He is survived by his wife of 55 years, Gayel Caraway Tillman; daughter, Karol Tillman; son, Brett (April) Tillman, and son, Russell (Michele) Tillman. He is also survived by six grandchildren, Shane (Philip) Kent, Lenox Tillman, Hannah Tillman, Joshua Tillman, Marissa Tillman, Chandler Tillman; and two great-grandchildren, Dylan Duke and Miles Kent. A memorial service will be held at 11:00 a.m. on December 16, 2017 at Legacy Christian Church, 1150 Rockaway Rd., Senoia, Ga., with Pastor Roy Roberson officiating. The family will receive friends from 5-7 p.m. on Friday evening, December 15, 2017 at Carl J. Mowell & Son Funeral Home, Fayetteville. Carl J. Mowell & Son Funeral Home, Fayetteville  www.mowellfuneralhome.com.